If you have a complex project shipment, we can help. Call us now on +44 1256 760688. 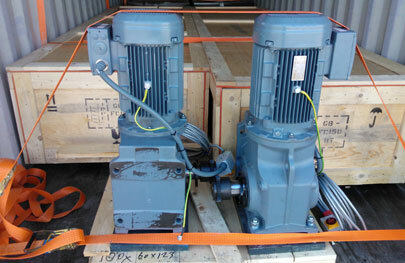 SPI specialise in complex project shipments. We deal with some of the most difficult transportation scenarios imaginable not only where there are challenging logistical issues posed by the size or weight of the item but also where the end destination is remote or inaccessible. When moving a heavy shipment to Afghanistan for a valued client, we faced all these challenges plus extreme time constraints (4 days from completion of manufacture date). The total load itself was 87000 kilos, with three vehicles 11 metres in length, fragile, highly valuable ($1.5 million) and at 4m in height that meant the only air freight option was to charter an Antonov 124. SPI worked with the client to troubleshoot the best solution, from creating technical load plans, arranging for loadmasters from Antonov to visit the client site to review technical specifications and calculating the G-force implications of a difficult landing in Afghanistan. Given the nature of the destination there were serious security and clearance issues that needed to be negotiated with local military. We used our contacts and experience to ensure a smooth transition from manufacturer to end user within an extremely tight deadline.